Firefall was first announced at the Penny Arcade Expo in September of 2010 and was promised for release in 2011. Instead, the game remained in an “extended beta” format until July 29th, 2014 when it was officially released on PC and Steam. Leading up to its release though, the game suffered several setbacks including the retooling of its underutilized player-versus-player mode, accusations of CEO Mark Kern’s leadership, and a “reorganization” that resulted in a portion of Red 5 staff being laid off. In 2015 Red 5 suffered more internal woes with missed paychecks and ultimately more of the team being let go after the departure of CEO Mark Kern himself. In 2016 The9, a Chinese online games operator who owned a majority interest in Red 5, attempted to move some of its money through a Cayman Islands company that folded shortly after. Allegedly the majority of the Red 5 team was laid off in July of 2016 surrounding these events. Firefall servers went offline in August but returned relatively quickly only to once again go down for two weeks in December. By January 2017 the game was online but communication was silent from either Red 5 or The9 until July 5th when the game’s end was announced. Massively Overpowered chronicled the game’s tumultuous history and posted a recap of these events at the beginning of 2017. “Players begin their journey in Firefall as an ARES pilot, an elite operative contracted by the Accord to reclaim Earth by leading the fight against an invading race known as the Chosen. Outfitted with military-grade battleframes, players will be able to collect equipment and materials to customize and strengthen their arsenal of weapons and abilities, while experiencing Firefall’srich lore and engaging content. 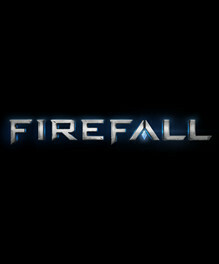 Firefall features campaign missions and exciting quests as well as dynamic events that appear throughout the world, offering players new experiences throughout as they embark on their adventure. As players explore the vast open-world from New Eden to Devil’s Tusk, they will encounter unique dynamic events, such as melding-fueled tornadoes, crystite meteor showers and Chosen incursions, which will bring new and exciting challenges to their Firefallexperience. In addition to all of the PVE content, Firefall also features a large open-world PVP continent, where players can test their shooting skills and tactical abilities against other players to control outposts and resources in this hostile environment.